If he’s out the door before you are on a powder day, make sure the Spyder Propulsion Insulated Ski Pant is nearby when he’s getting ready. This ski pant for boys is high-tech, with features like a HydroWEB™ finish that makes these pants dry lightning-quick. 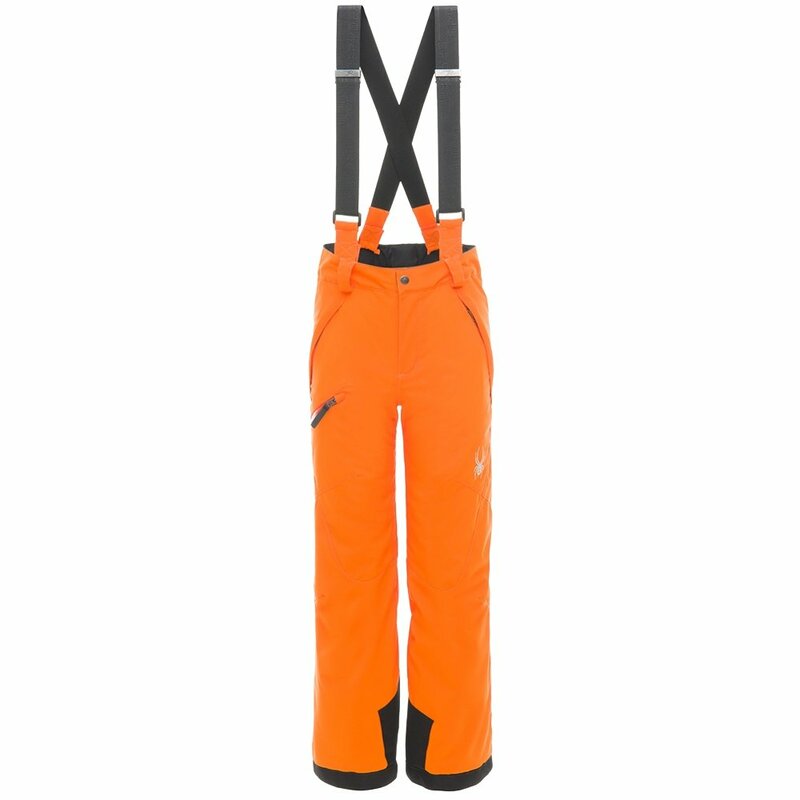 On relaxed spring ski days, he can remove the suspenders for a more casual fit — and no worries if the pants drag a bit since they have snow gaiters and scuff guards. But because it’s more likely than not that he’ll hit a growth spurt mid-winter, the Spyder Propulsion Insulated Ski Pant has a hem that can easily be extended by another inch.